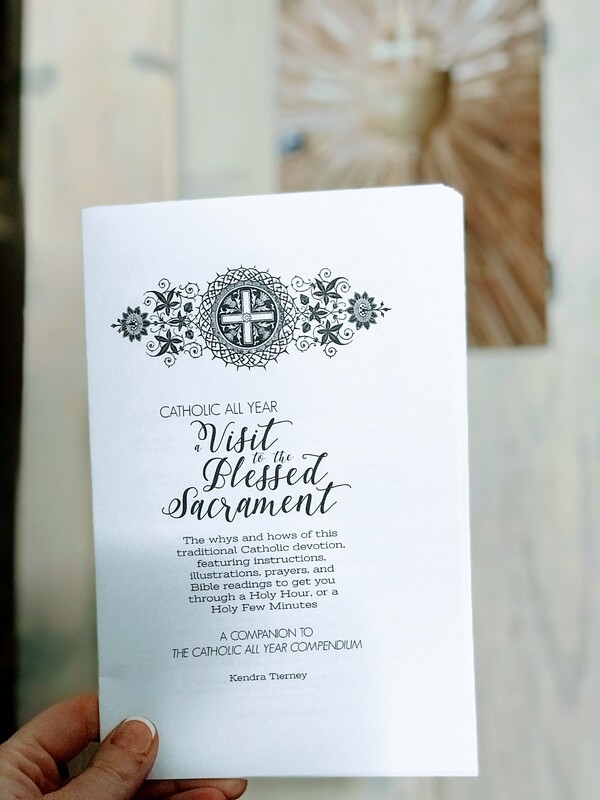 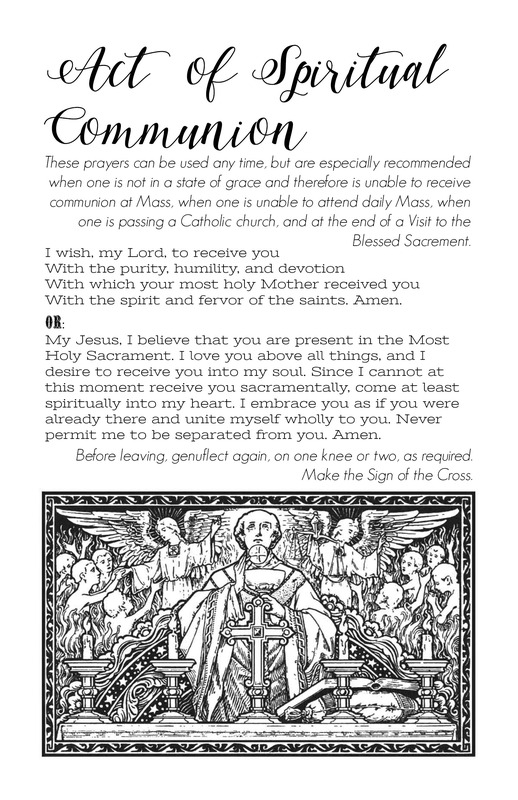 This booklet contains everything you need to make a visit to Jesus in the Blessed Sacrament, whether it’s for the first time or the hundred and first. 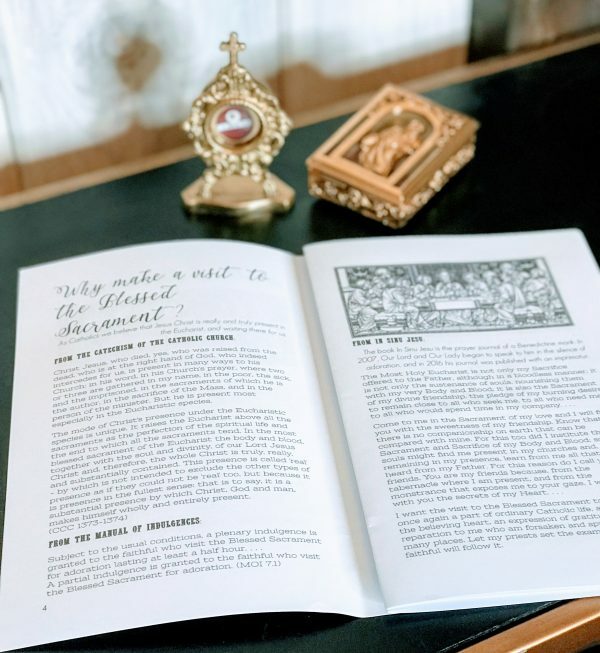 You’ll get a description of why Catholics adore Jesus in the Eucharist, including quotes from the Catechism of the Catholic Church, the Manual of Indulgences, and In Sinu Jesu. 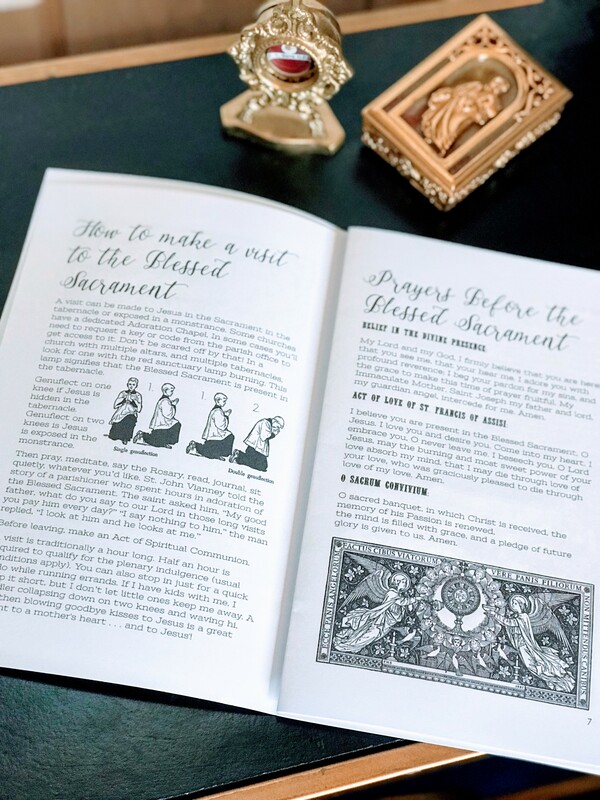 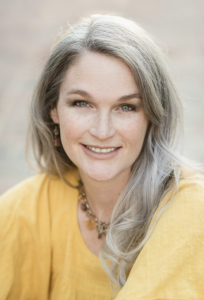 You’ll get simple and specific instructions for how to do it, including how to find Jesus in the Sacrament in your Catholic church or adoration chapel, be it hidden in the tabernacle or exposed in the monstrance, how to genuflect depending on where you find him, and what to do while you’re there. 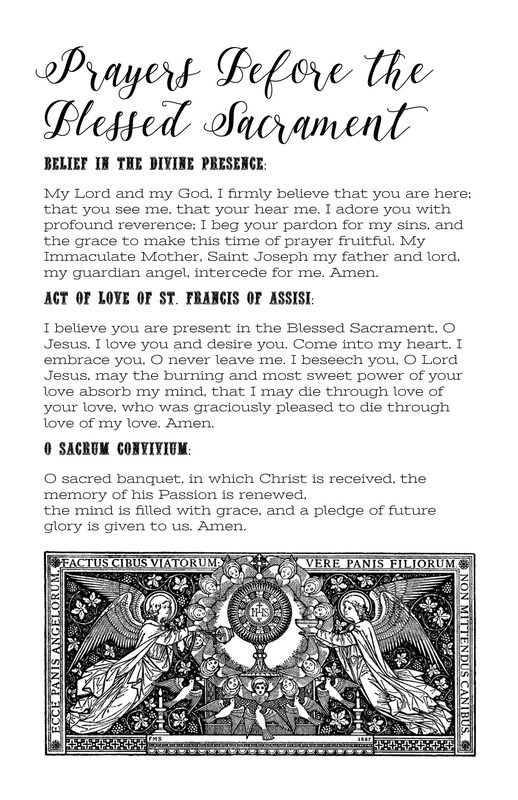 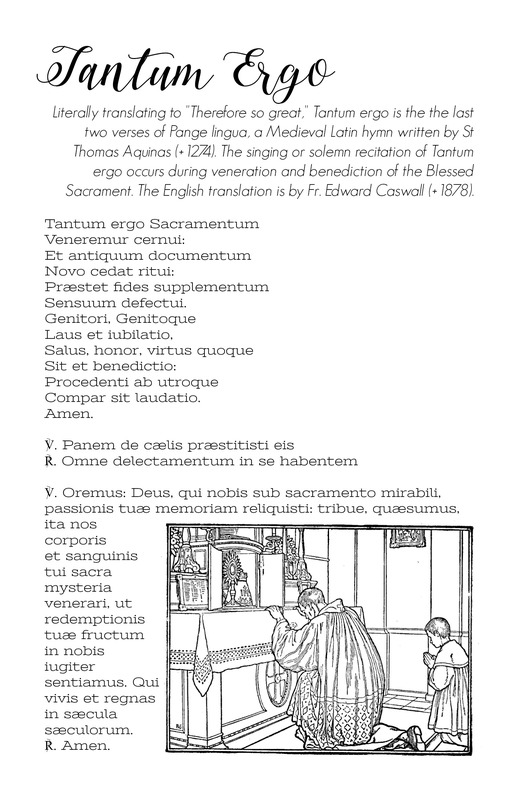 Also included are recommended Bible readings and prayers for before the Blessed Sacrament: Belief in the Divine Presence, Act of Love of St. Francis of Assisi, O Sacrum Convivium, Anima Christi, Adoro Te Devote, Tantum Ergo (these three in Latin and English), and two versions of an Act of Spiritual Communion. 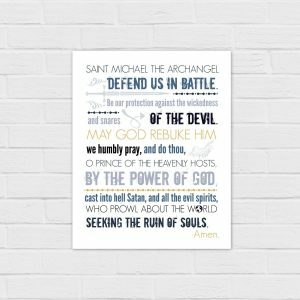 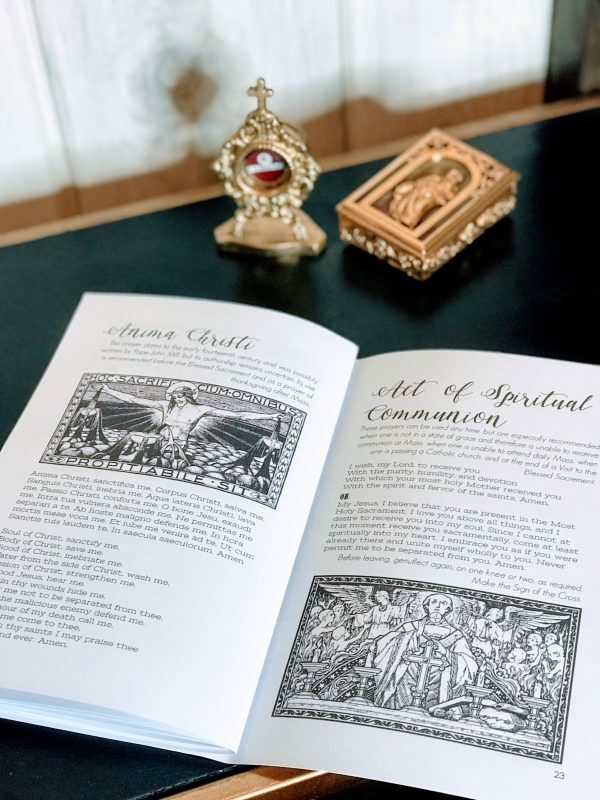 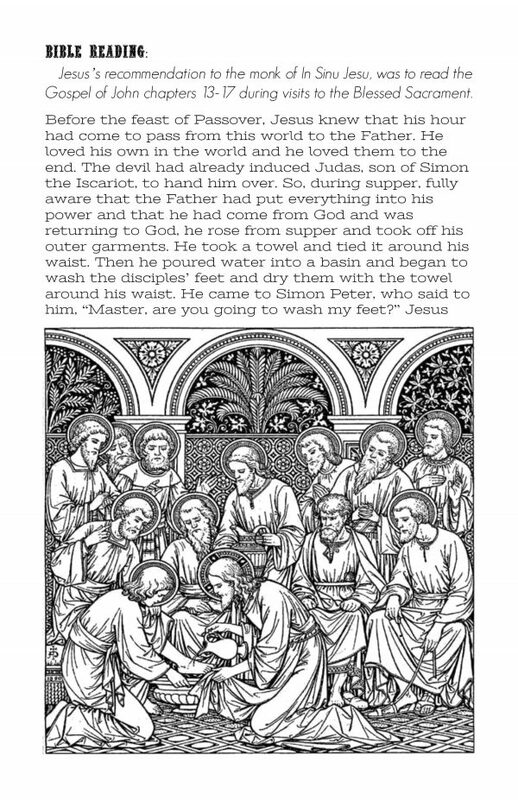 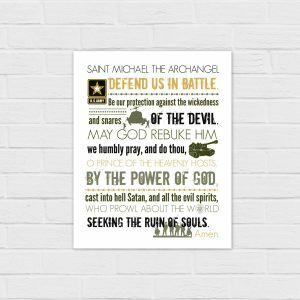 Illustrated with beautiful Catholic line art from vintage editions of the Roman Missal. 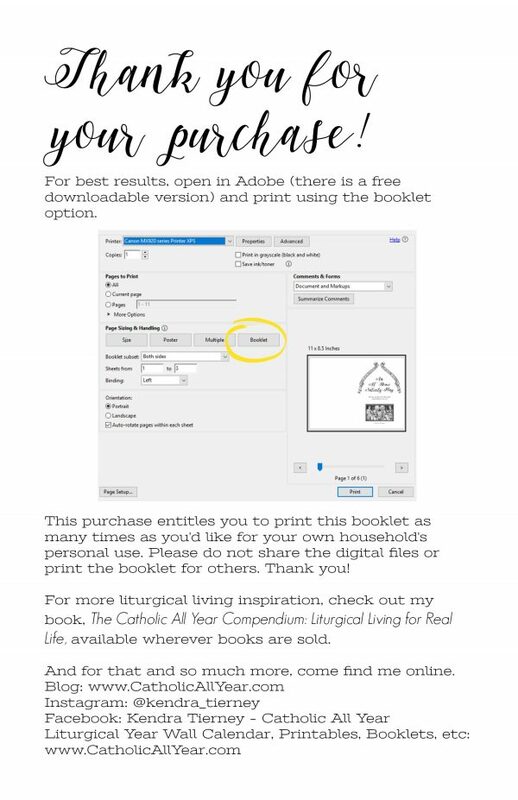 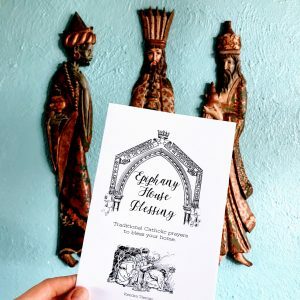 You get a 24 page pdf file, that can be printed as individual pages, but I recommend opening the pdf in Adobe (there is a free version available for download here) and printing it as a booklet (which uses eight pieces of paper). For best results print on high quality paper (like 24 weight). 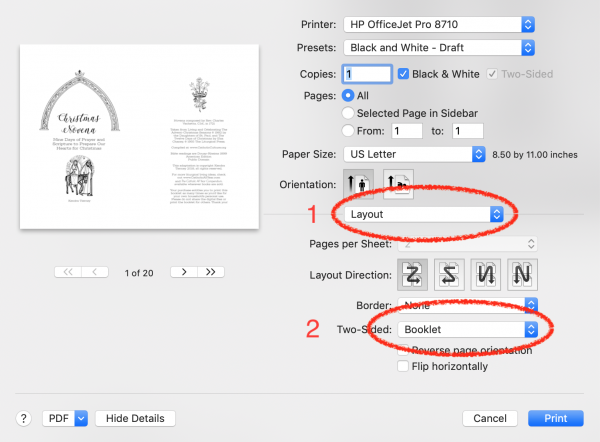 Lighter weight paper will work, but there will be more show through from the back. 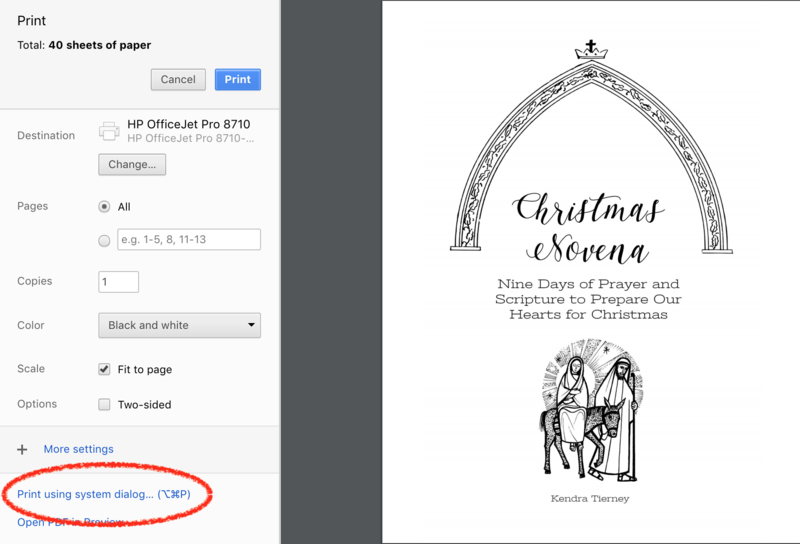 Also available as a paperback booklet on Amazon, here.